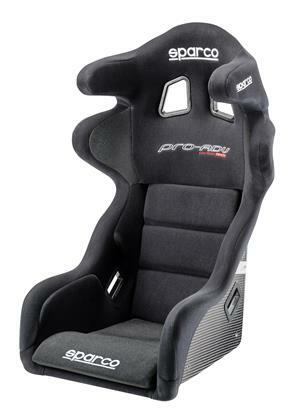 The Pro-ADV competition seat is the result of a collaborative partnership between Sparco and FIA. The goal was to identify ways to improve safety. The results are new levels in ergonomics, materials and, above all, safety are all found in the Pro-ADV seat. Increased rigidity and the use of impact-absorbing materials are the major advances found in the Pro-ADV. It features large head and shoulder protectors and can be integrated with a Hans device for even greater protection. The Pro-ADV is FIA-approved. Available in light-weight Carbon Fiber.